The first round of the NHL playoffs concludes with a Game 7 matchup between Carolina and the defending champion Capitals. 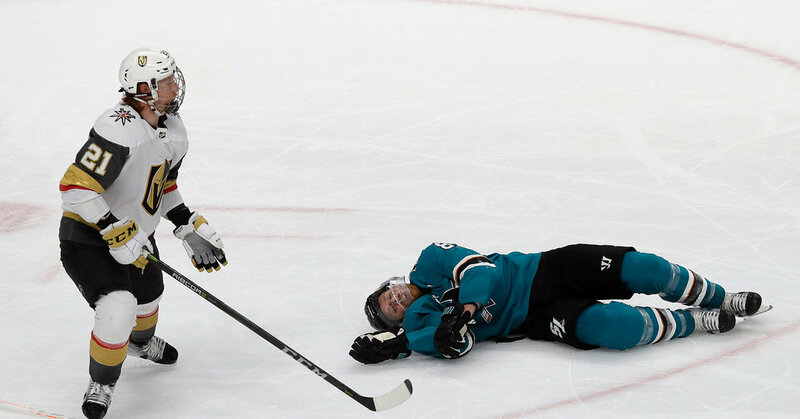 The decision to assess a major penalty to Cody Eakin is being blamed for the Golden Knights' Game 7 collapse against the Sharks, but the finger should be pointed back at Vegas, who blew a lead in the game and series en route to its first-round exit. San Jose responded to a bloody injury to captain Joe Pavelski by scoring four goals on a power-play midway through the third period after trailing 3-0 to that point. Cody Eakin's game misconduct penalty in the third period changed the course of Game 7, and Vegas wasn't happy afterward. What looked like was going to be a relatively easy Vegas Golden Knights win over the San Jose Sharks in Game 7, turned crazy with just 10:47 to play. 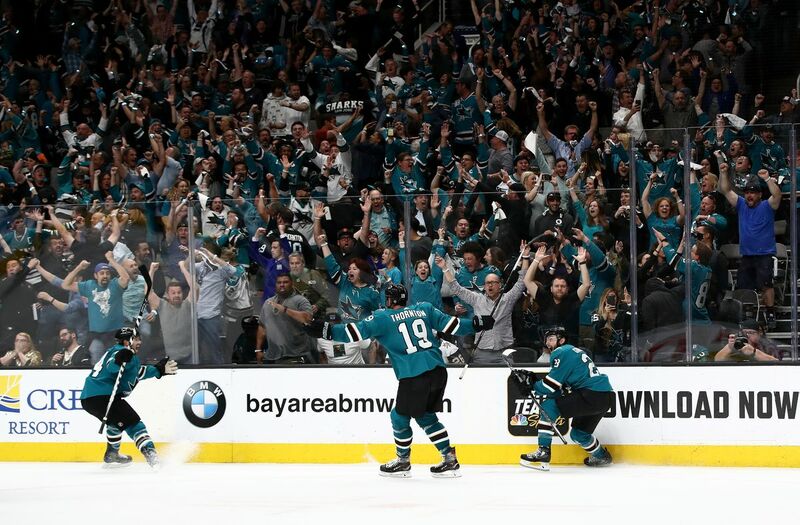 The Sharks clinched a first-round playoff series victory in overtime, after trailing the Vegas Golden Knights by 3-1 midway through the third period. At least we have the playoffs still going on, and the first round has been fantastic, so I cant complain too much. However, Im still not sure which way they are leaning. The Sharks erased a three-goal deficit by scoring four times on a disputed major penalty in the third period and Barclay Goodrow scored 18:19 into overtime to send San Jose into the second round.